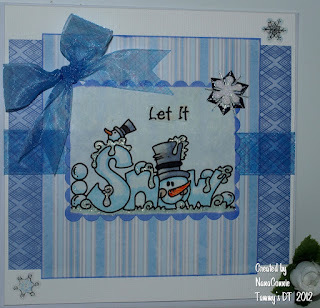 Hello crafters, Dawn here with the winner and top 3 for last week. Thank you to everyone who took part last week, we really loved all your creations and appreciate you joining in with us here at Willow Sketchie Challenges. CONGRATULATIONS Pauline, please email willowsketchiechallenge@gmail.com to claim your prize. Many congratulations to you all, please grab your badges to adorn your marvellous blogs and do come and join in again this week with our sketch and theme of Christmas. I am so honored to have taken a Top 3 spot. I do love your challenges!